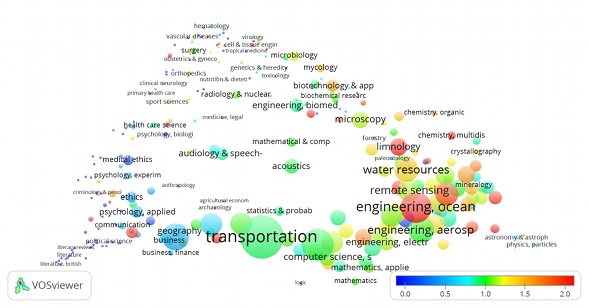 Blue: The impact of a university in a subject category is far below world average. Green: The impact of a university in a subject category is around world average. 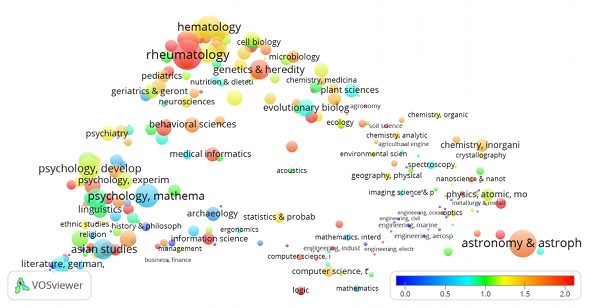 Red: The impact of a university in a subject category is far above world average. The maps are based on publications from the period 2007-2010 and citations until the end of 2011. 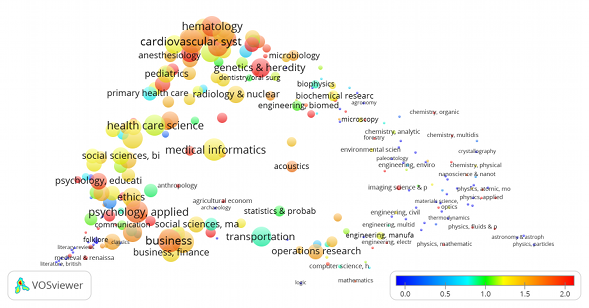 Click on a map to examine the map in full detail using VOSviewer.